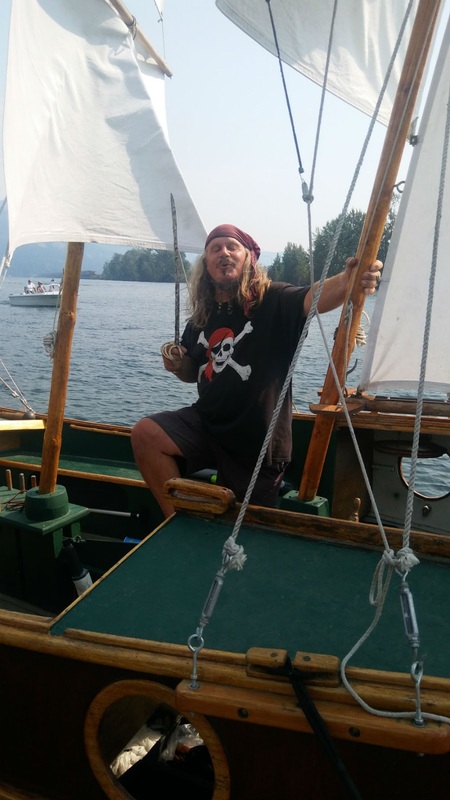 In summer 2018 I had the pleasure of meeting the Sandpoint Pirate and checking out his ship (boat), named the Wind Spirit. 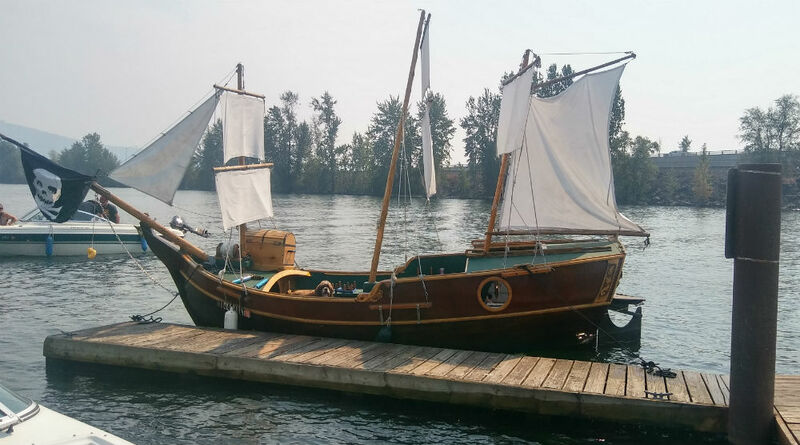 Seems this ship became available for sale on Craigslist about 5 years ago and he was fortunate to purchase it quickly before anyone else did. 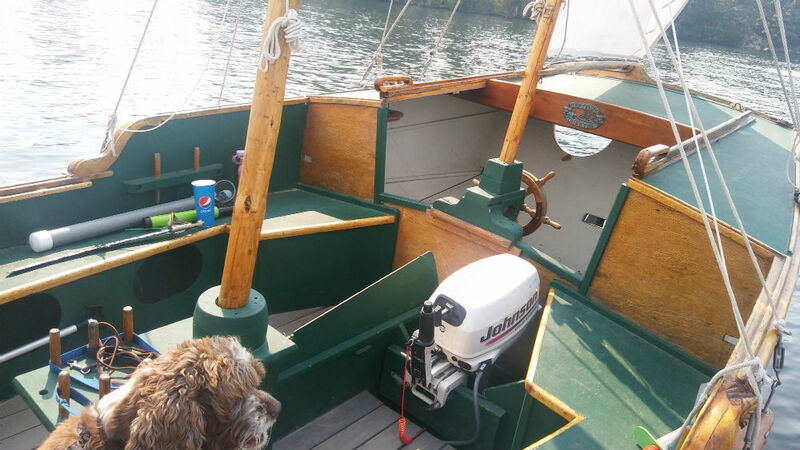 Since getting it out on the water he has received some pretty strong offers to sell it but he has no plans to do so. His goal is to take kids out and give them a pirate experience for free. The ship itself is all wood construction, includes a motor well where a 5 hp outboard sits, and has an old metal centerboard he does not use. This ship of 18 feet was totally designed to sail but sadly to me it was converted to motor power only. Sails are only cosmetic to give it a pirate ship, old square rigger look. The wood has been well maintained as she is a beautiful little ship, totally sea worthy. 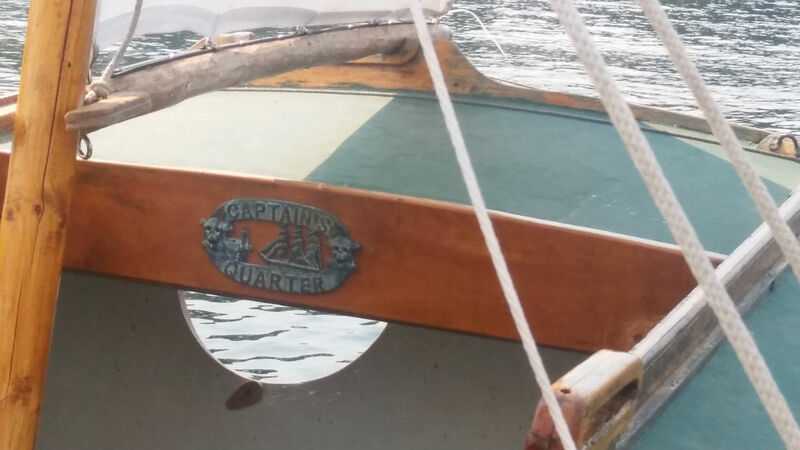 There are some beautiful carvings and brase metal accents that gives it an especially nautical look (see pics below, click on them to enlarge). He also added a cosmetic wood cannon and 2 treasure chest, topped off with of course a pirate flag. 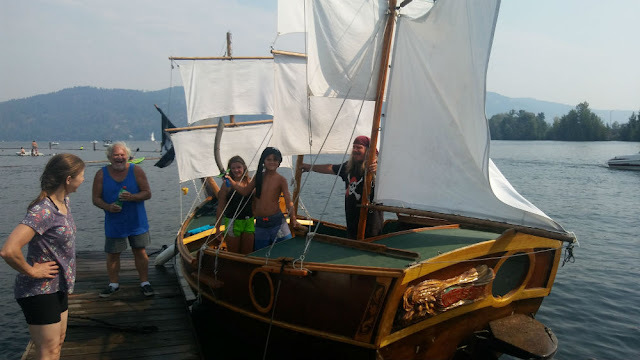 If your wondering how to get a hold of the captain for a fun pirate excursion the only way to do so is come to the Sandpoint City Beach Park and look for the ship. 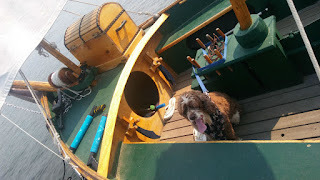 He does trips on most weekends during the summer.